You don�t want to miss any opportunity to be in touch with your customer but in the process you have to be very alert of the fact that you are losing your precious time doing the repetitive work on daily basis. Bimamitra Plus provides you with the smart assistance at a lowest market cost with highest market productivity which will take care of your clients & prospects on your behalf, maintaining that personal touch! Setting goals gives you long-term vision and short-term motivation. It focuses your acquisition of knowledge, and helps you to organize your time and your resources so that you can make the very most of your life. Knowing our goals makes it much more likely we will attain them. After all, if we don't know what we want, how can we attain it? Experts tell us that those who set goals do so much better than those who don't. Professional plan presentation is a very detail-oriented work that requires time resource that might not be available with you at times. Our professional presentations are innovateively developed to fulfill your business's specific needs. Customized layouts & designs provides you with the flexibility you always wanted in your business. While you provide the protection they need, we provide the solution you need. Bimamitra is renowned as the Most User Friendly Life Insurance software for Life Insurance Agents since it has started the journey in 2000. Since then we are developing the best available features with a user friendly & easy to use interface. In effort to provide you the complete solution for your daily routine, we have done several market researches & tried to find out what you expect from your software as a Life Insurance Professional. 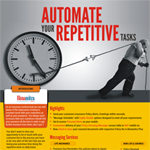 This proven software solution helps you to be more productive with real-time tracking and policy servicing reports. You don�t want to miss any opportunity to be in touch with your customer but in the process you have to be very alert of the fact that you are losing your precious time doing the repetitive work on daily basis. Bimamitra Plus provides you with the smart assistance at a lowest market cost with highest market productivity which will take care of your clients & prospects on your behalf, maintaining that personal touch! Given today�s increasingly competitive insurance marketplace, with insurance companies, agents all competing to sell products to consumers, we must examine ways to optimize our sales ability. Mobile devices, if leveraged properly, can provide insurers with a competitive advantage, and increased sales productivity and market share. By launching our new product BimamitraMobile, Spysoft has made the technology cost effective and within reach of the Insurance Agents. You can never be sure what the future has in store for you. But when you pick a "User Friendly Insurance Software� like Bimamitra, you can be sure future only promises good things and never worry about future. Bimamitra is best of the best Insurance Software in Life Insurance Industry in India..
B imamitra is truly our Mitra. I have tried various insurance softwares before Bimamitra but I must admit that it is by far the most user friendly Life Insurance software. Customer Support has been excellent. I have achieved my MDRT. All credit to Bimamitra.. We thank you for being our Mitra. T hough I have other insurance softwares installed at my place, I prefer only Bimamtira to take care of my Plan presentations. It's outstanding Plan Presentations helped me sell 44,862 policies in a single financial year (2009-10). Service is excellent & updations are swift. 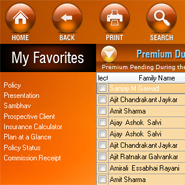 I t's one of the best Life Insurance software with many inbuilt & innovative features. Economical & the most user friendly. B imamitra provides me the right kind of support one Life Insurance agent requires to grow & maintain his / her business. Bimamitra's timely updations helps me work efficiently in the market. U ser friendly software is what I can say about Bimamitra. 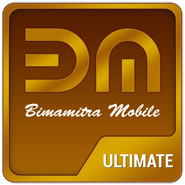 Using Bimamitra is a real time saver because of it's well desgined features & layout. My software gets updated on time whenever there is a new update realeased. Back-office support has always been great alongwith the online help. S ince last 10 years I am relying on Bimamitra to take care of my Insurance data. As a partner it's helping me in growing my business as well as my knowledge. The service is propmt & more importantly the people associated with it are genuinely helpful. Happy to be associated with the most user friendly Life Insurance software. V ery User Friendly Life Insurance software. I recommend that it must be used by all Life Insurance agents. Ver 2.138 is now available for Download..